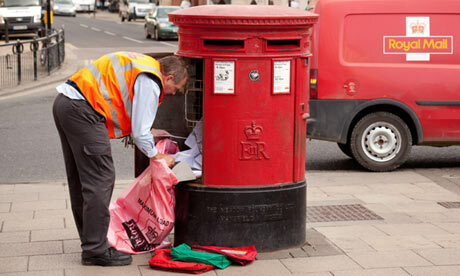 The Royal Mail announced today an increase in its half-year profits. It is their first announcement since they went public and were shared on the London stock market last month. The report shows the company has made a pre-tax profit of £1.58 billion, for the six months leading up to the 29th September. However, this has been boosted by the companies recent pension reform and its removal drops the profit down to £233 million. A number that is still up on the £94 million from the previous year. The increase follows a 60 percent stake of the company being floated on the London Stock Exchange last month, at a price of 330p per a share. The stock quickly soared in value, leading many to claim it had been undervalued. An issue that will see Business Secretary Vince Cable facing a select committee hearing, where they will discuss whether he and the bank priced the shares too low, shortchanging the British public. Despite all this, the revenue that is accounted for by letters has continued to fall. With it now accounting for 5 percent less than it did this time last year. However, the revenue coming in for parcels has risen with it now covering 51 percent of all revenue. A rise of 9 percent from last year. Posted in Economy and Business and tagged profit, royal mail. Bookmark the permalink.